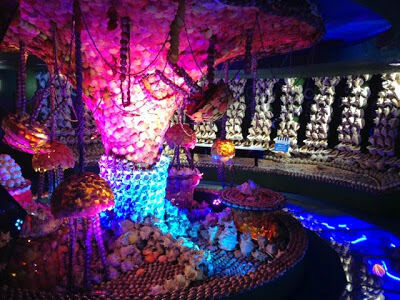 Shells collected from over a hundred different countries line the walls, floors and ceilings of this fantasy museum. 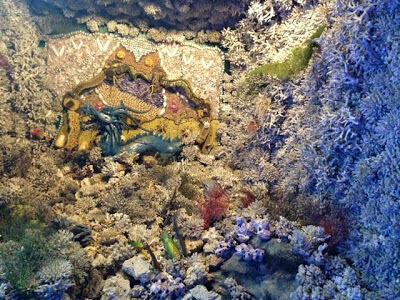 The Takeshima Fantasy Museum in Gamagori, Japan looks relatively unassuming from outside, but once you enter, you are immersed in a surreal magical world of ceiling to floor shell decorations, LED lights, mirrors, and fantastical music. The museum is geared toward children, so you’ll come across cute characters — Misell and Gamago — who appear on screens in each room to act out each part of your shared underwater saga. 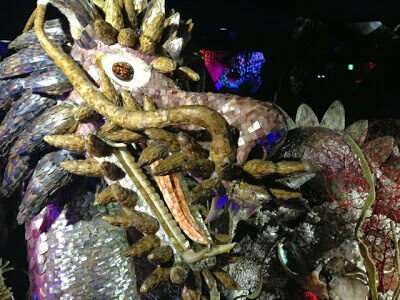 Walk through tunnels of thousands of shells to encounter princesses and shell-dragons in shell-castles. If your Japanese is decent, you can collect information en route to fill out a worksheet and win a small prize. At the end of the fantasy tour, there is a small museum with shells arranged in glass cases (as at a more typical natural history museum). 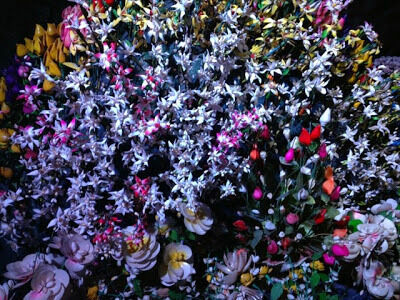 There is also a gift shop where you can buy kitschy yet sweet shell-bouquets like those seen throughout the fantasy house. These Japanese gardens are blankets of light for dark winter nights.